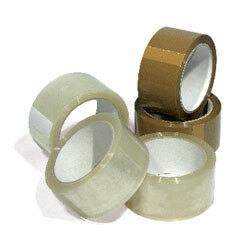 Low cost polypropylene packaging tape for general carton closure use. The polypropylene tape and the hot melt adhesive assure quick release with great tear resistance. Rolls fit standard tape dispensers.